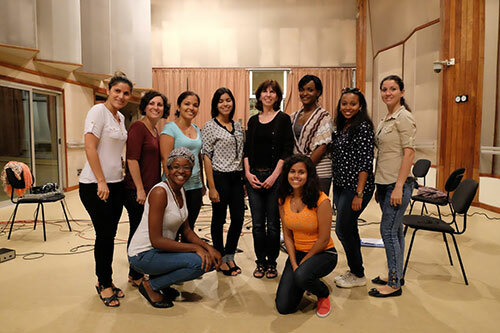 The second CD of the Ansonica label from Parma Recordings was released in October 2016 and showcases five composers working with Cuban Musicians. Christina Rusnak’s pieces Dearly Beloved and Dearly Departed, a wedding and funeral song were sung by the very talented Ensemble Vocal Luna Christina was able to compose Dearly Departed specifically for Vocal Luna. and being a part of the process from conception to recording is a special privilege.